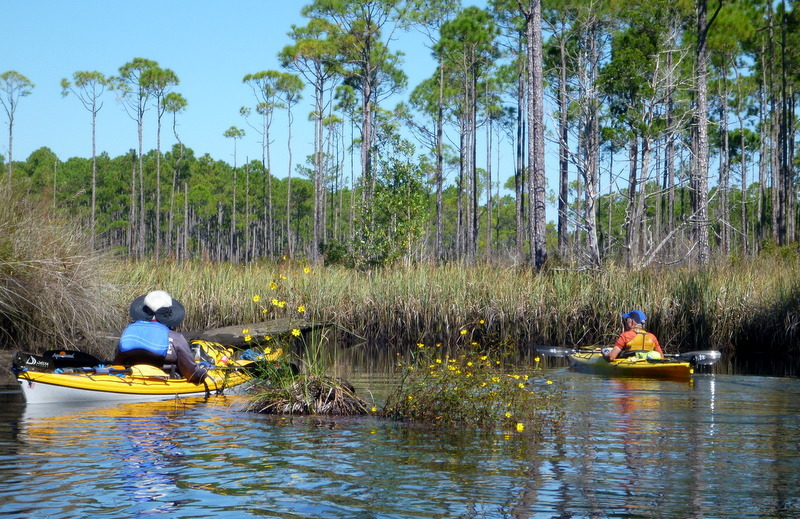 Come paddle Tate’s Hell — the cosmos, Florida’s state flower, is in full bloom –from put-in, view a panorama of cosmos gold between sedges and pines. 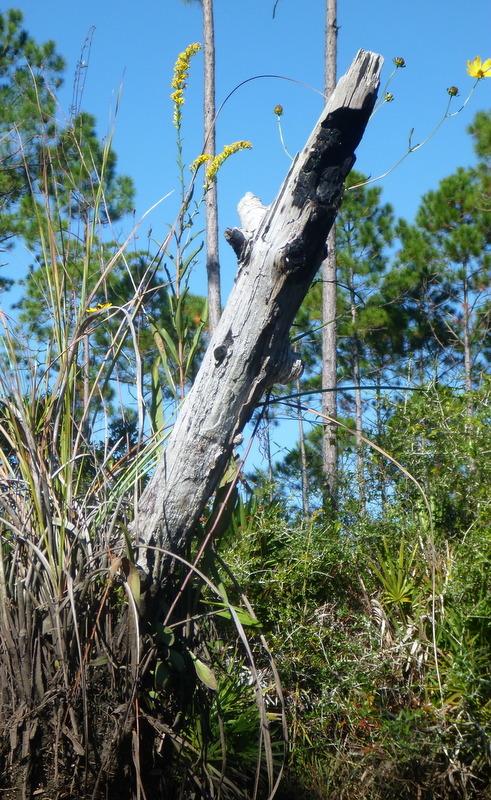 Also see climbing asters, goldenrod, salt marsh morning glory, swamp lily, cardinal flower, ratttlesnakemaster, vanillaleaf, dahoon and yaupon holly red berries — wasps, bumblebees, alligators (big ones), lots of sedges, rushes, gnarled cypresses, long leaf pine — estuary and pinelands. 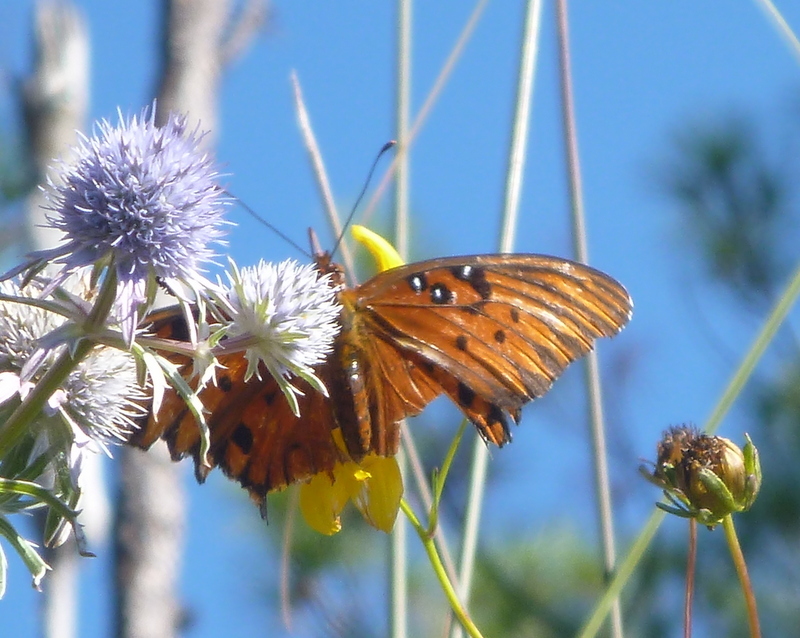 Gulf fritillary and sulphur butterflies — an October estuary ecosystem vibrant and alive! The cooler days of October through April temper the sun’s rays. Put in at Cash Creek Day Use boat launch, off SR 65, head upstream. The branches will end — you should not get lost. The first fork: to the left is High Bluff Creek, to the right is the continuation of Cash Creek. High Bluff Creek, as does Cash Creek, ends in a narrow swamp creek. 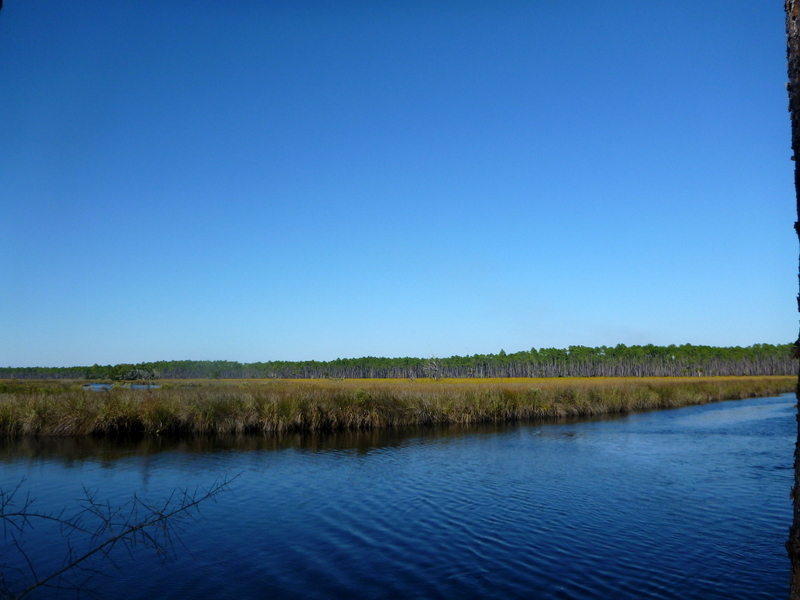 If you take the fork to the right (Cash Creek) and come across the next fork, the fork to the left is an old canal probably cut through pineland by the logging plantation, previous owners of Tate’s Hell lands. It is straight and narrows to less than the length of most kayaks. 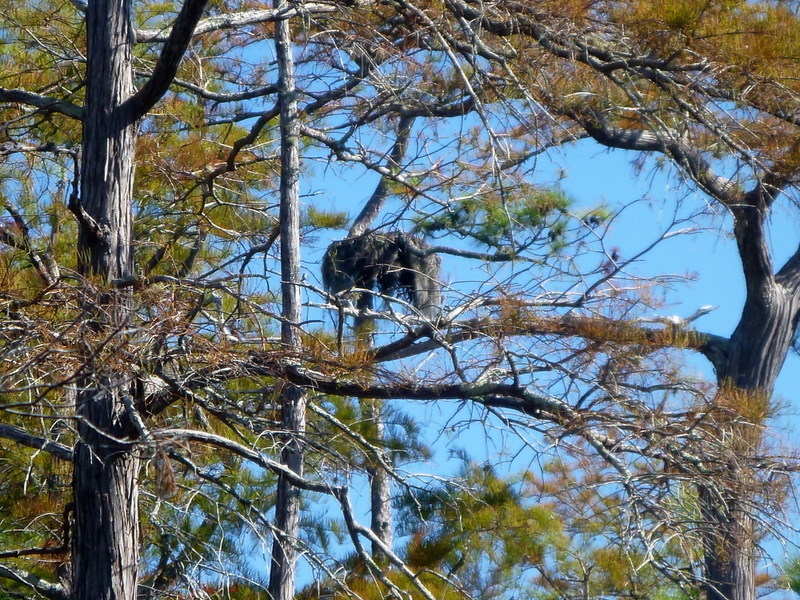 Last December, we saw a mother bear and her cub (the cub on a pine tree, learning its climbing skills). The mother bear quickly alerted her cub when she saw the us. The cub’s instinct was to climb up the tree. 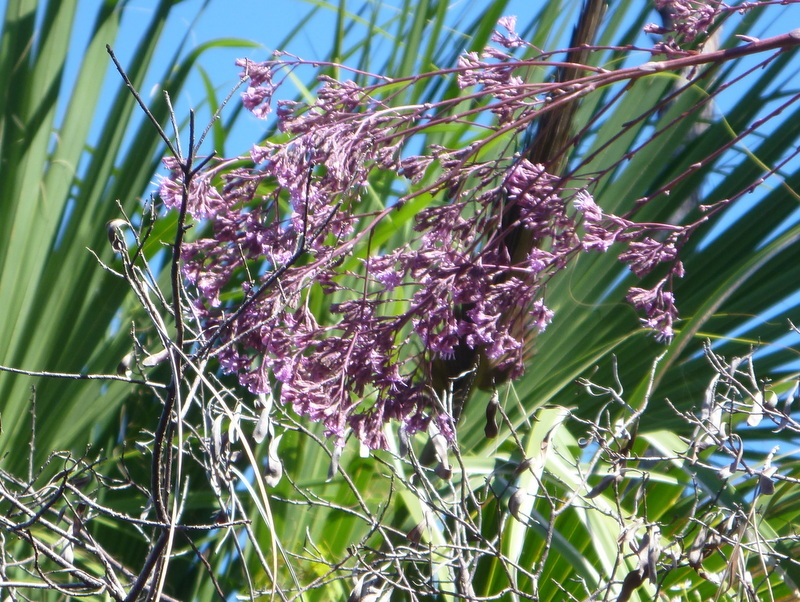 A sharp rebuke from its mother brought the cub scurrying down the tree and quickly into the palmetto. A wild bear will avoid human contact; a bear habitualized to humans, e.g. garbage can or campground scavengers, may not. Feeding wildlife habitualizes them. On the extension of Cash Creek, the branch to the right continues into woody swamps and dead ends. Easy paddling: some tidal influence. Two portable toilets at put-in. Bring your own toilet paper. Covered concrete picnic pavilion with 3 tables. There is no day use fee in Tate’s Hell, except for Womack Creek Campground which has flush toilets and showers — $2 there. (A good place to shower, if traveling through). View from put-in. Between the sedges and pines is a huge field of cosmos. 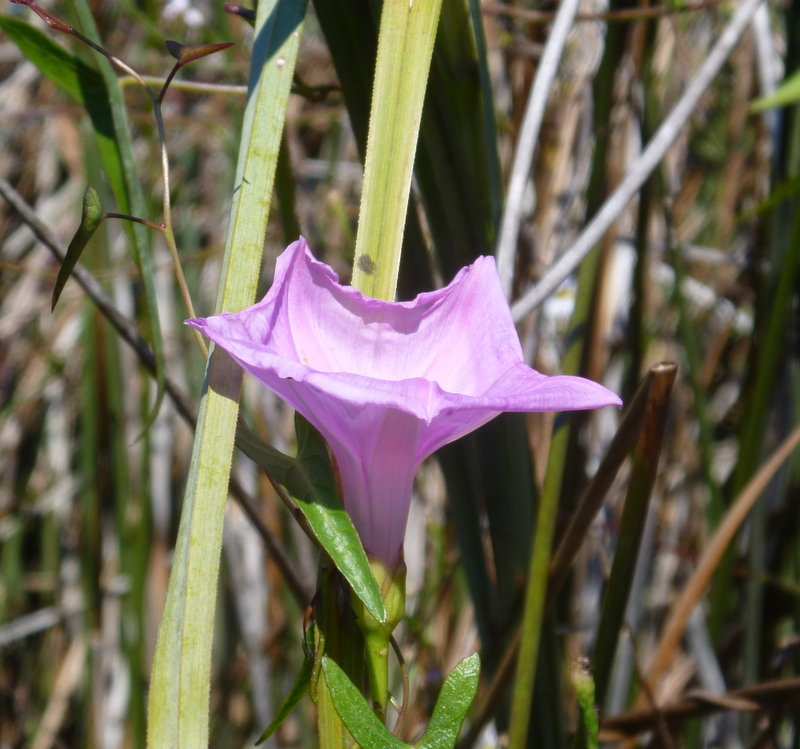 Reminded us of that shot in the movie Color Purple where the child is seen romping through pink and lavender cosmos. A small island of cosmos. 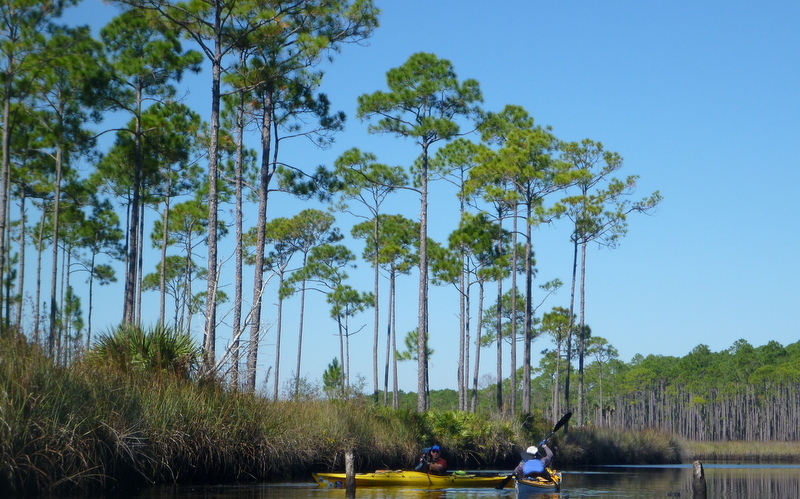 Paddling in an area where estuary meets the swamp environment — it gives you two experiences. We think Cash Creek would make for a beautiful full moon paddle, up to the first fork (a little over a mile from put-in). After that there are snags which might not be readily seen in the dark. 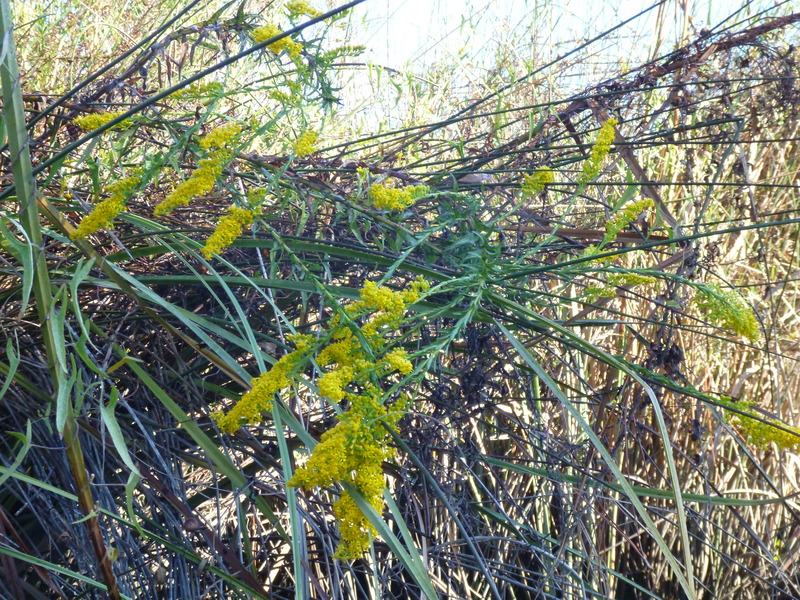 Golden rod and cosmos growing from a spot of soil on a snag in the water. Gulf frittillary on cosmos with rattlesnake master cluster in foreground. Osprey nest. In the spring the pair of osprey will return to begin a new generation. 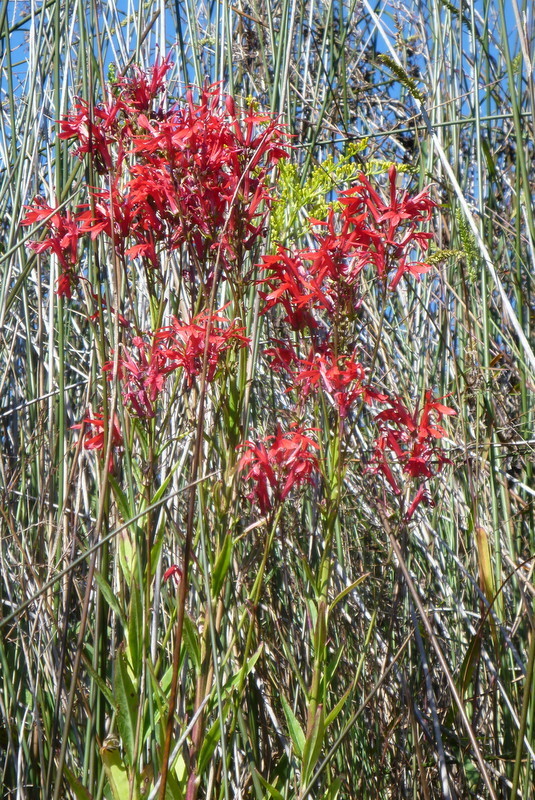 Cardinal flower – attracts insects. 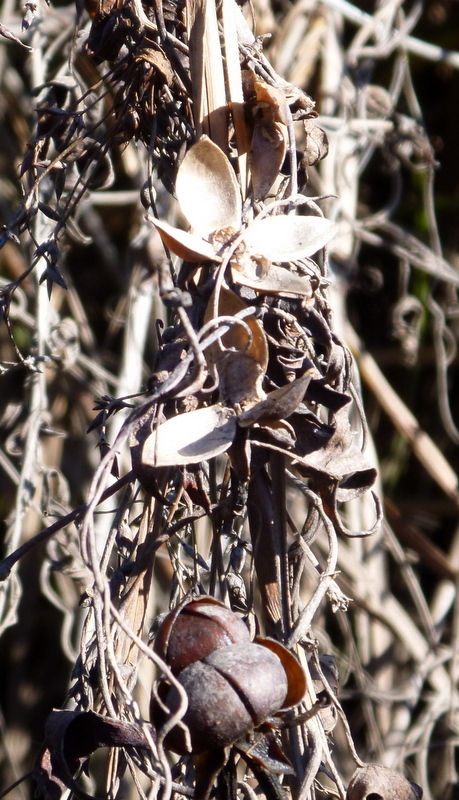 Salt marsh morning glory seed pods. 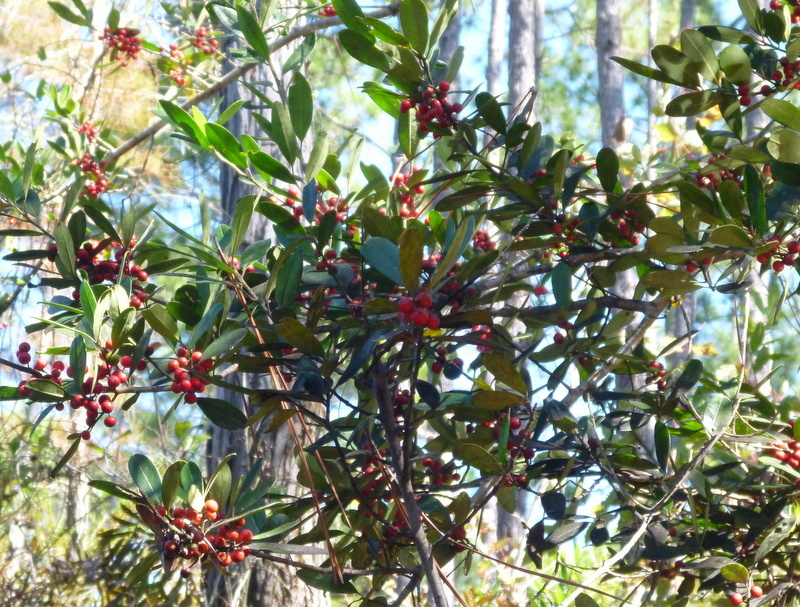 Dahoon holly berries — feast for migrating birds. 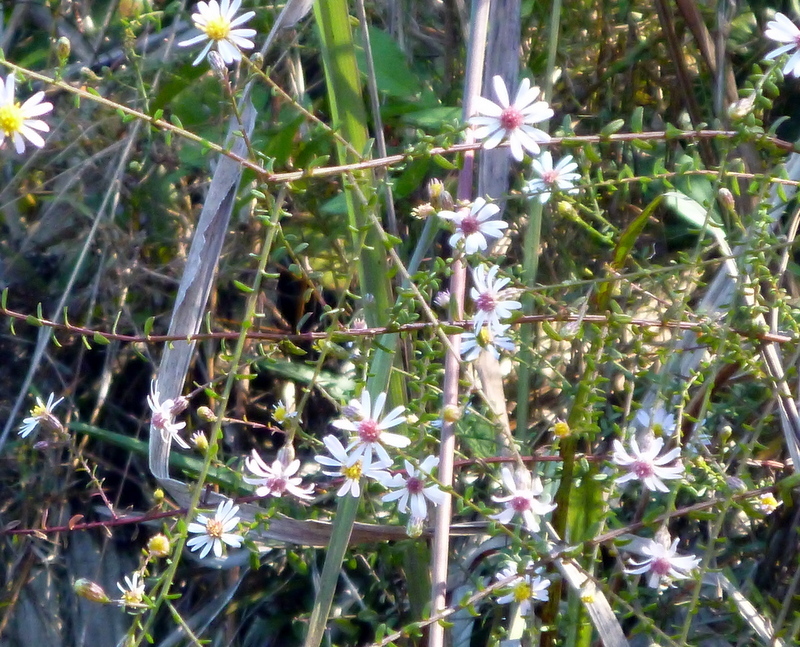 Vining aster – common fall flower in Tate’s Hell. 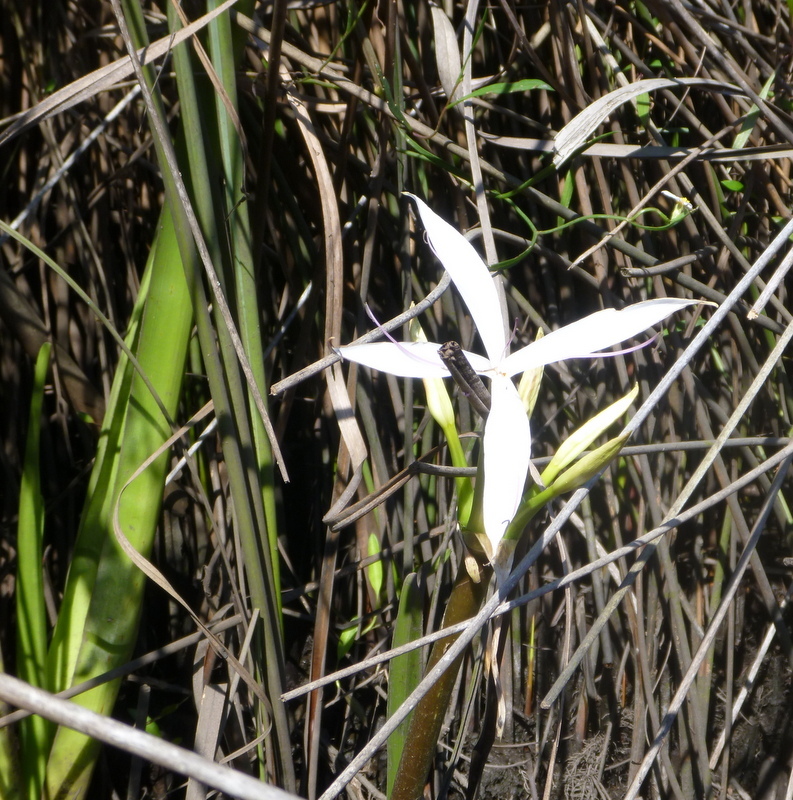 This entry was posted in Native Wildflowers, Paddling, Tate's Hell, Tate's Hell wildflowers and tagged Florida native wildflowers, Florida Paddling, Paddling Tate's Hell State Forest on October 25, 2014 by marylynanded.